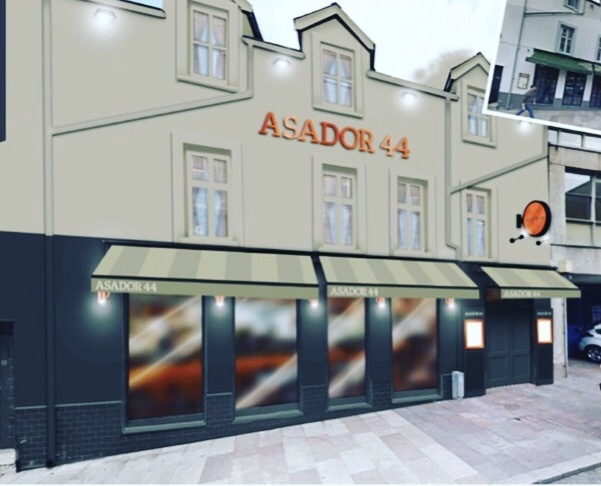 An Asador is a restaurant specialising in cooking the most incredibly sourced meats, fish and vegetables over charcoal and wood at a very high heat, to perfection. In Northern Spain, they are a way of life and part of the cultural and culinary fabric. Paired with local and Spanish seasonal produce and side dishes, we will be specialising in cooking the world’s finest beef, in the form of the Rubia Gallega chuleton, a 1.5 kilo rib of 12 year old Galician ox – to share. We will also be mastering the art of slow cooking legs of Pyrenean and Welsh milk fed lamb, Segovian suckling pig and beautiful fish dishes, all on a custom made Basque grill and a Josper oven. All this will take place in our open kitchen which will provide real theatre for our customers. To compliment the incredible food offering, we will be installing a temperature controlled enomatic wine system, allowing us to offer a huge range of wines by the glass, giving the customer choice of style and price point. Our wines have always been a real highlight of our bars, so we aim to keep reaching higher with the offering. We will also be offering a craft lager on tap from Rioja, the first of its kind in the UK, plus incredible Spanish sparkling wines, as well as a carefully selected ‘gin-tonica’ selection. Great place, great food. Service was subtle but very good. Atmosphere,even for a bank holiday Monday night was fantastic, nice buzz to the restaurant. Very warm welcome from helpful staff. Octopus fantastic. First taste a great wow! Hake with clams and asparagus was cooked to perfection. A selection of our chosen cheeses rounded of our meal very well. Our wine was one of the least expensive bottles but was very good. A real treat; a feast of good food and an evening to remember. Menu of course extends to include Galician aged beef and fresh fish of the day. Will return. 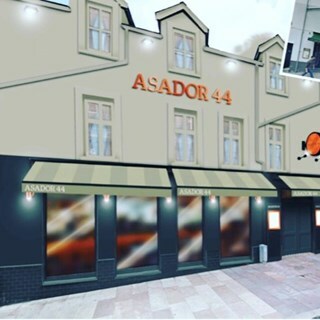 We have come to Assador 44 mainly for dinner in the past so we decided to bring our parents for lunch. Very easy to book online. The service throughout was top notch. We chose our food almost exclusively from the hugely good value 3 course lunch menu. Perfect fish and meat dishes were concluded with a fabulous cheese selection. Great value. Brilliant staff. Great food. Excellent Service, Tasty Food, Great Wines. Good value fixed lunch menu available.... We went into full treat mode so went for the specials and al la carte..... not cheap but the quality and service matched the price... We had the Suckling Pig and Brill .... The Cheeseboard was very good and washed down with Sherry selected for us, by the Sommelier...... We will definitely return. A throughly enjoyable first visit to Asador 44. Great staff, great food, great wine and a mean martini. We will be going back. Outstanding meal and fantastic service! An absolute delight! This is our second visit and cannot wait to return. Vegan menu was excellent. Really good to have two choices per course. Wine advice was very useful. An excellent first visit will definitely be returning. Amazing food for a really reasonable price. Great experience as always, thank you. One of the party thought the olive oil fries were over seasoned (and I heard another table comment the same) however the rest of us thought they were fine. Couldn't fault service - very enjoyable lunch. Excellent service. Delicious food. Knowledgeable staff. Lunch menu is amazing value (my son had that). My partner and I had the 60 day aged steak which was fabulous. The starters and cocktails were also beautifully presented and tasty. Restaurant almost empty but we were given a very unromantic table for 4 next to the kitchen. Service was very prompt but he forgot our side orders. Gf choices were limited and I didn’t enjoy the chickpea cake which was refunded. Atmosphere slightly oppressive, felt like we were being watched and hurried along, not a relaxing experience. One of the better Cardiff restaurants. The staff were very understanding of the allergens in our party and went above and beyond to ensure we had a really good dining experience. It can be very stressful having to deal with eating out, and this was a fantastic experience. They have a very extensive wine list, which can be a mine field, but they checked and recommended a lovely wine. Service was excellent, informative about dishes on menu, and answered questions on allergies with confidence. Service was quick (at lunchtime), but food was fresh and hot when served. Delicious food & fabulous service. Great value special occasion lunch. Lovely food, but very expensive. Had the sharing steak, and although it was lovely, it was very small. Had to order extra chips as the bowl was definitely not enough for two people! !